We are Manufacturer, Supplier, Exporter of Dual DC Regulated Power Supply and we are also specialized in Calibration Services ( Calibrator ). Our setup is situated in Pune, Maharashtra, India. 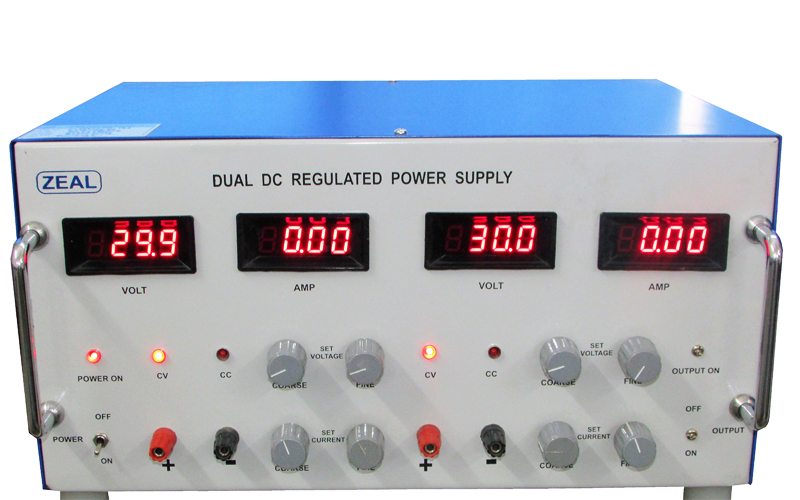 Dual DC Regulated Power Supply is useful for Production, R&D and QC Departments of Electronics industries & battery charging application. Also it is useful in educational institutes, engineering college laboratories and testing & calibration laboratories. Unit can work both in Constant Voltage (CV) and Constant Current (CC) mode. Output of the Power Supply is floating. The power supply can be used as a positive or a negative source by grounding negative or positive output terminal respectively. 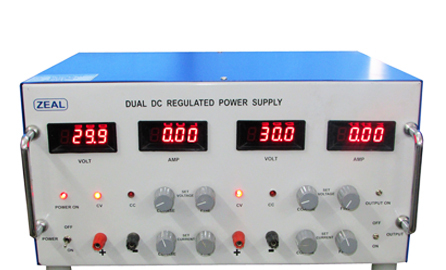 Note : We also manufacture customized DC power supply as per customer’s requirement.